Time until Bomberman II release day! 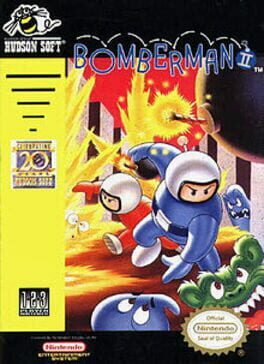 Bomberman II follows the popular NES game Bomberman, incorporating a number of new features to the series. The game maintained the classic Bomberman game-type, requiring the player to navigate a maze of blocks using bombs to make a path. It added a two-player and three-player mode, and had a more developed storyline. The game was developed by Hudson Soft and released on the Family Computer and the NES. It was marketed as Dynablaster in Europe.